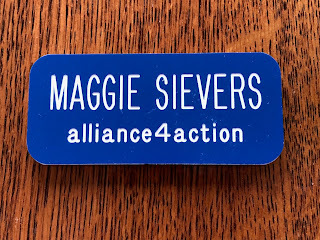 We are about to send in an order for alliance4action name tags. They are $5 each. 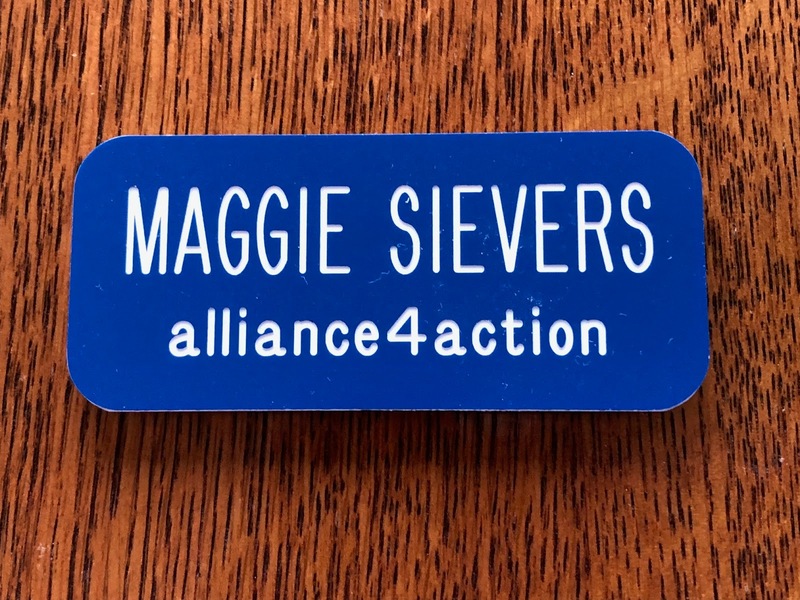 If you'd like to order one, contact maggiesievers@msn.com by Saturday, Nov. 24.